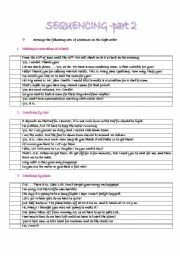 And worksheet number 4 .... 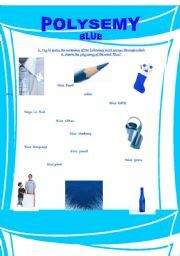 I hope you are not feeling BLUE ! 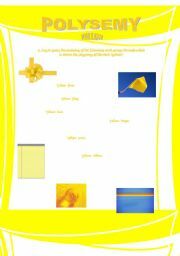 Worksheet number 3 on polysemnatic words ..... Do you like yellow? 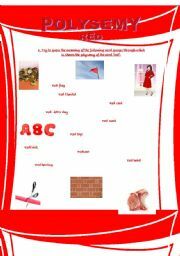 A basic presentation of colours and items of clothing, with different types of practice. 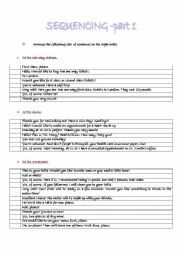 Themed-dialogue sequencing worksheets, good for reading comprehension activities. 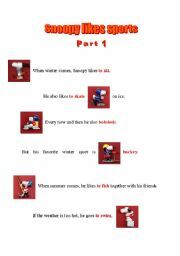 Sports vocabulary; each sport is illustrated with pictures of Snoopy. Kids will enjoy it. 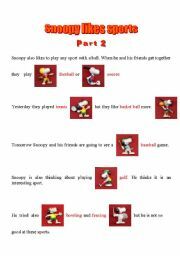 Part 2 of sports vocabulary, with pictures of Snoopy corresponding to each sport. Sorry, but it was too big because of the pictures, and I had to brake it up in 2 parts. Three more themed dialogues, containing every-day life situations, with focus on sequencing.